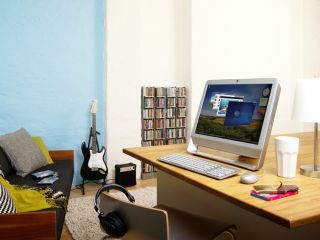 Maybe your studio could soon become your workplace. For most of us, music-making is a much-loved hobby, but wouldn't it be great if you could give up your day job and do it full time? This might sound fanciful, but if you broaden your ambitions and look beyond signing a record deal and having a hit record, there are money-making opportunities out there. Composing jingles for adverts might not be what you had in mind when you first got into this, but wouldn't you rather do that than sit in an office all day? We've canvassed opinion from a range of people who make their livings from music, and they've come up with the following advice for anyone who wants to do the same. Clients call the shots, so if you want repeat work (which you will! ), then they need to get what they want. Clients are notoriously bad at telling you what they want, and can even be unwilling to tell you when they're unhappy. They just won't use you again! If you're doing a soundalike, don't make it too close to the original - just changing the key of the original riff won't do the trick. Instead, listen to the types of sounds used, the tempo, the processing, the style and the vibe. Capture those and you're there. If you're producing music for commercials, try to make agency contacts. It's all very well having the best jingle for Corn Flakes, but Kellogs hire an agency to do this for them. If you become favoured by an agency, they can put you forward to other clients. Check that your clients are getting what they want. Sometimes people come into the studio for the first time and they're so excited to record and hear themselves, they lose track of what they wanted. So I usually ask them to bring me an example of the type of sound they want. Don't cut corners. When you're working on your own stuff, you can get lazy about things, whether it's setting input levels properly or de-essing a vocal. But if somebody's paying you, make the effort. And you'll find that the more you do it, the less hassle it becomes - you'll even start doing your own stuff better, too. The best way to meet prospective studio clients these days is out and about. If you're a recording engineer/ producer, this means going to loads of gigs and chatting to people. For dance music, it means going to clubs and chatting to the DJs. You'll soon find people looking for somewhere or somebody to record them. Having your own label can make things much easier when it comes to licensing music to compilations and things like that, as it means that if somebody wants your music urgently for an ad or compilation, it's ready and available to license as soon as you can fill out your own paperwork. Get advice from people who know about things like promotions and release dates. Just because releasing tracks these days is cheaper doesn't mean you shouldn't take it just as seriously. For example, we tell our clients to promo at the same time as release, to avoid illegal downloads, and to release around payday, as that's when people buy! Double-check that your accountant knows your industry. The rules are technically the same, whatever business you're in, but it can still be handy to have somebody who knows the nuances, knows how HMRC approaches your business, as well as any potential pitfalls. Don't just sign a contract without getting it checked. I'm not saying you should get your solicitor to scrutinise every one you ever see, especially not for a small snippet of one track to be used on the radio once. But until you have seen a few and know what to look out for, get somebody who's familiar with them to check it over. If you're putting out a lot of music in any form whatsoever, get yourself a publisher. They take a cut, but they also only make money if you make money, so it's in their interests to make you as much money as possible. And if they're halfway decent, they'll have a lot of contacts to help you make them money! Get testimonials. It's all very well making your clients very happy, but unless you get them to put it in writing for you, nobody else knows. Get yourself a website and put your testimonials on show. It makes you look far more professional and is the best form of recommendation prospective clients can expect. Be versatile. I play in a band and tour the world, I release dance tracks, I do remixes, I'm involved in a company called Flicker Music that generates everything from incidental music and soundalikes to reproduced samples for top ten hits, so the artists can avoid paying to clear samples. For more money-spinning advice, check out the June issue of Computer Music (CM139) which is on sale now. BLOG: How can bands make money from their music?